Here’s some friendly advice for tourists and Olympic visitors to try and make the transport experience as easy as possible. 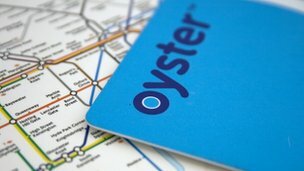 Get an Oyster card – if you’re travelling a lot it’s far cheaper. Or get a one day, or weekly, Travelcard which gives you unlimited travel for particular zones if you are making lots of journeys. Avoid cash fares at all costs. You’ll find a breakdown of fares here. Do let people off trains before you get on. Do stand on the right on escalators – if you don’t, Londoners love saying “excuse me” to people in the way on the left. Get a map. The Tube map is not representative of actual distances. Sometimes it’s much easier and much more pleasant to walk. For example Embankment is 200m from Charing Cross. By all means try and talk to people in the carriage or on the bus – if they ignore you they’re not being rude, that’s the London norm. If the weather is hot and you get the Tube, be prepared for sauna conditions on some lines like the Victoria and the Northern. The top deck of some buses can also get very toasty. Do get your Oyster Card ready before you approach the gates – do not do it once you are blocking the gate. Be aware you don’t have to press the door “open” button on the Tube: if you do, it’s a clear sign you’re new to town. However on overland trains you do have to press the “open” button on the doors – and no, I don’t know why there’s this difference. Even if there are no gates on, for example, the Docklands Light Railway, always touch out with your Oyster Card – sometimes you need to look carefully to find the yellow circular readers. If you don’t it will charge you a full fare – about £7. Don’t be afraid to ask directions. Helping lost tourists is a badge of honour for some Londoners (I’m not vouching for the directions though). Or ask the Tube / bus staff – normally they are pretty nice. If you are lucky enough to have tickets for the Games then you will need to leave plenty of time to get there. The Get Ahead of the Games website shows you what it will be like. Posted on July 21, 2012, in London 2012, London Olympics, Sightseeing Tours, Travel Tips. Bookmark the permalink. Leave a comment.